OWC Mercury Rack Pro 0GB 1U Multi-Interface 4 Bay Performance RAID Kit. OWC Mercury Rack Pro RAID 5 storage solutions come pre-configured as a hardware controlled RAID 5 "stripe with parity" array to provide both speed and data protection to meet high-performance demands. Specifically designed to meet the performance demands of video and audio production, the OWC Mercury Rack Pro four Bay RAID 5 solution provides data transfer rates of over 300 Megabytes per second! Using the highest capacity SATA hard drive mechanisms available, and offering Plug & Play simplicity, the possibilities are endless! Note: OWC Mercury Rack Pro solutions do not include rack rails. 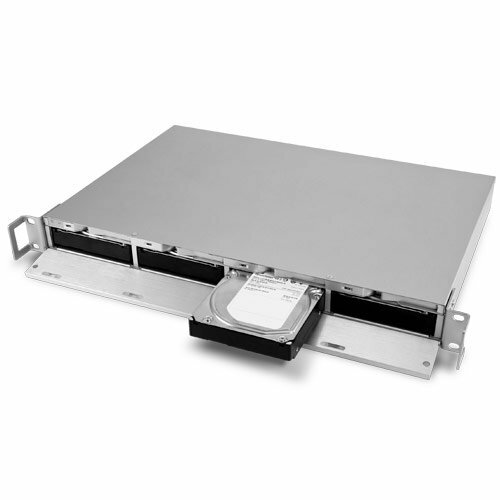 The Custom High Performance Chipset eSATA with Port-Multiplier capability, FireWire 800 (1394B), FireWire 400 (1394A), & USB 3.0 chipset, combined with the fastest SATA drive mechanisms available give OWC Mercury Rack Pro four Bay storage solutions some of the fastest drive transfer rates possible with eSATA exceeding 300 Megabytes per second! A Top-Notch design using the best components gives the OWC Mercury Rack Pro an industry leading one year warranty and ensures the series is built to last! 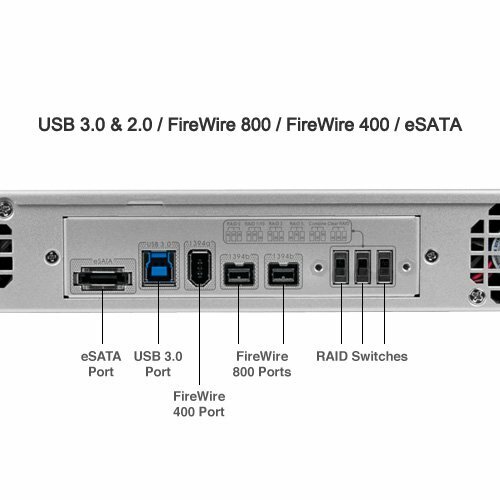 The OWC Mercury Rack Pro RAID series offers (1) eSATA port with eSATA Port-Multiplier capability, (2) FireWire 800 (1394B) ports, (1) FireWire 400 (1394A) port, and (1) USB 3.0 port for easy Plug and Play on ANY system! The OWC Mercury Rack Pro RAID even includes all needed connection cables! When using the OWC Mercury Rack Pro in Independent mode, all four drives appear on your system as individual volumes drives, so you can mix and match drives of any size and brand and hot swap the drives too. Smart Power regulates power during prolonged periods of inactivity to save operating costs and prolong component lifespan. The OWC Mercury Rack Pro can easily be converted to a desktop form-factor via a Phillips screwdriver by simply removing the rack ears and installing the included anti-skid, vibration dampening feet. 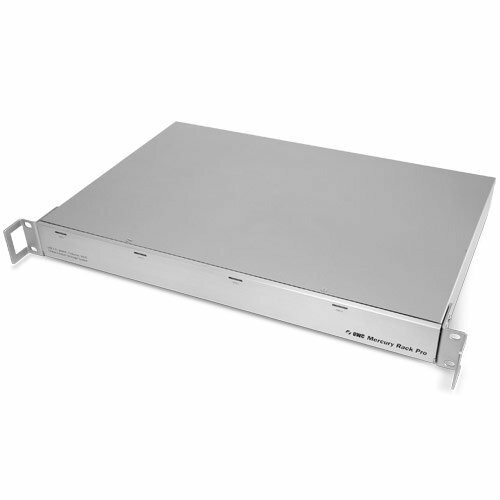 Includes: OWC Mercury Rack Pro 4 Bay, eSATA connecting cable, FireWire 800 (1394B) connecting cable, FireWire 400 (1394A) connecting cable, USB 3.0 conneting cable (A-B cable), Integrated Power Supply, Rack Mounting Handles, Anti-skid, Vibration Dampening Desktop Mounting Feet, Screws for Rack / Desktop Conversion.